Jeff Shulman is the Marion B. Ingersoll Professor of Marketing at the University of Washington's Foster School of Business. He moved to Seattle in 2006 after earning his Ph.D. in marketing from the Kellogg School of Management and his B.A. in economics, both at Northwestern University. 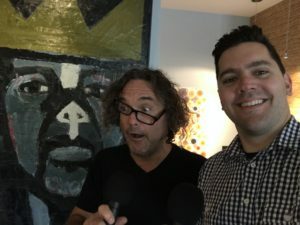 Professor Jeff Shulman has been interviewing a set of established and emerging artists, music lovers, and music industry leaders and will soon share their stories with you. 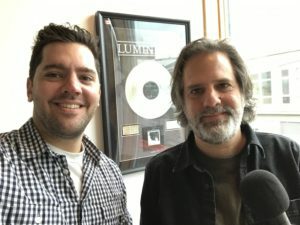 In this upcoming season of Seattle Growth Podcast, you will hear about our city’s transformation as told through the eyes of the music community. 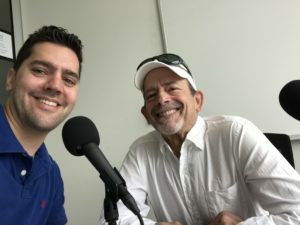 You will hear about the parallels and intersections with the tech community that is driving much of the city’s growth. And you will hear human stories that poetically put to words the excitement, anxiety, optimism, and concern that residents throughout the city are feeling as the Seattle of tomorrow promises to be very different than the Seattle of yesterday. 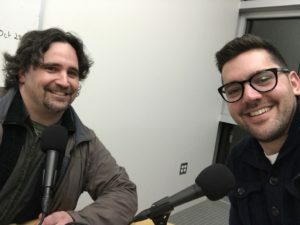 For music lovers, this season of Seattle Growth Podcast will highlight the growing legacy of Seattle music artists and give insight into how that legacy will be carried forward in the future. You are going to get to know the musicians who call Seattle home and hear the variety of sounds coming from the Emerald City. 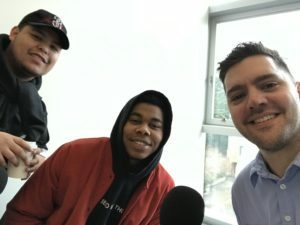 As a sample of what can be expected in season 4 of Seattle Growth Podcast, this episode features an in-depth interview with Dave B; an emerging Seattle hip-hop artist who collaborated with Macklemore on the his song Corner Store. Dave B performed on the Tonight Show with Jimmy Fallon, in a sold-out Key Arena, and is now set to headline a concert on January 27th at the Neptune Theater. In the interview, he describes his Seattle journey from performing in a choir to breaking out on the national stage. He shares his feelings toward the changes in Seattle as more people move in and the city transforms. The episode also includes brief clips from the talented voices of Lydia Ramsey, Prom Queen, and Kate Voss. 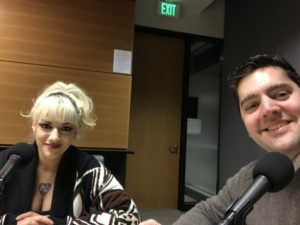 The arena wars are not over as two groups vie to reshape Seattle’s music scene, Seattle Center, and the future of winter professional sports in Seattle. 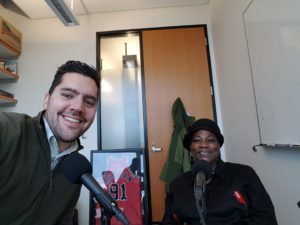 In this special episode, get an update on the process and hear from Wally Walker and Pete Nordstrom how their group’s efforts to bring an NBA franchise to an arena in Seattle’s Sodo neighborhood can also have an impact on music lovers and musicians in the city. With an appearance by Ben London and featuring the music of Stag. Former Sonics executive Wally Walker provides the latest details on the proposal. He describes the investments the group has made throughout the process and why they have not given up. He shares what excites him about his group’s proposal to subdivide Key Arena into smaller indoor and outdoor music venues. He provides insight into how the two arena developments would be financed. Can we expect a surprise from the Sodo arena group? Hear how Walker responds. 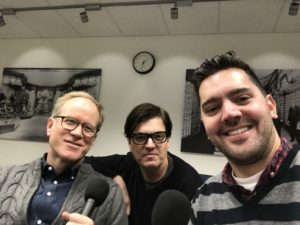 Also in this episode, the co-president of Nordstrom, Pete Nordstrom, opens up about his reaction to the latest news from Seattle City Council. 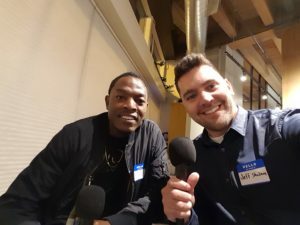 He shares personal stories of the role of music in his life and why his group has made the proposal to convert Key Arena into smaller music venues. 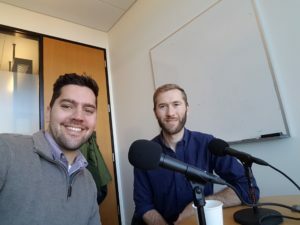 In this third season of Seattle Growth Podcast, UW Foster professor Jeff Shulman set out to better understand the physical transformation of Seattle. Shulman set across Seattle to learn from real estate developers, residents, and activists about the changes under way. What he found may surprise you. 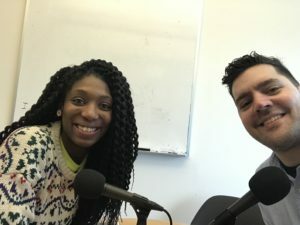 In this season finale, hear Seattle residents share a common concern about how Seattle is transforming and offer their ideas for action steps that can build progress toward addressing the challenge. Featuring the voices of Damon Bomar, Tim Thomas, Cole Austin, Martin Henry Kaplan, Queen Pearl Richard, Ethan Phelps Goodman, Alisha Cross, Carl Livingston, Joe Ferguson, and Rev. Dr. Phyllis Beaumonte. S3 Ep. 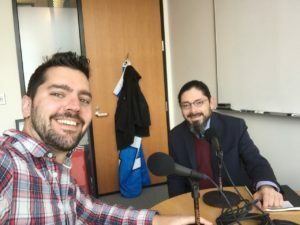 6: Is Seattle’s Past Paving Its Future? Seattle’s growth is bringing a physical and cultural transformation. Buildings are changing, businesses are changing, and people are changing at a rapid pace. 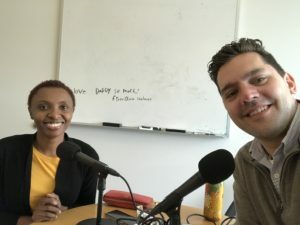 This episode of Seattle Growth Podcast features three expert opinions on how policies from Seattle’s past are shaping the migration patterns of today that will influence Seattle’s future. 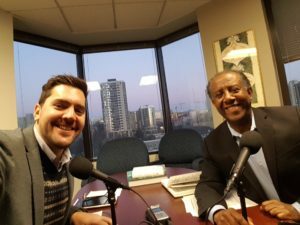 Political Science professor Carl Livingston remarks on the renewed vibrancy of downtown Seattle and what he sees Seattle losing during its growth. University of Washington researcher Tim Thomas shares findings from his dissertation research on migration patterns dating back to the early 20th century. Mount Zion Baptist Church Historian Rev. 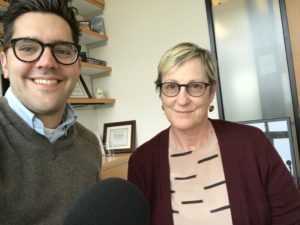 Dr. Phyllis Beaumonte describes how the policies affected her family and shares a message of what she hopes people will do to build a strong future for Seattle. Money and people are moving into Seattle at an unprecedented rate. Recent census data suggests the population has increased by over 1,000 people per week. In an apparent effort to keep pace with the growth, Seattle has led the nation in the number of cranes in the sky two years in a row. Though significant attention is given to the number of people moving in, IRS data shows thousands of people are also moving out. 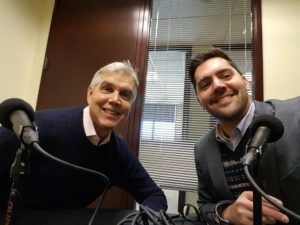 Today’s episode of Seattle Growth Podcast features interviews with two people who have chosen to leave Seattle and an interview with the Director of Seattle’s Office of Planning and Community Development about what the city is doing to avoid losing more of its long-time residents. If Seattle has changed to a point that these residents feel the need to leave, what might happen you and your life in this city? By understanding why some residents are saying goodbye to Seattle, you can work together to ensure that Seattle maintains a community for you and those you care about as it continues undergoing its transformation. 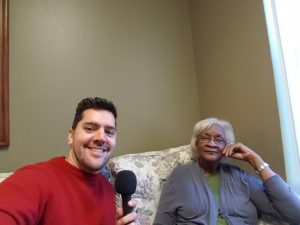 Today’s episode features in-depth interviews with Reverend Dr. Phyllis Beaumonte, Cole Austin, and Sam Assefa. 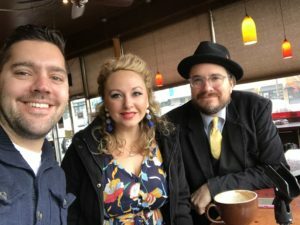 Three residents with more than a combined century living in Seattle tell their side of the story of Seattle in today’s episode of Seattle Growth Podcast. Seattle’s population has increased an astounding 15.4 percent since the start of the decade. For tens of thousands of newcomers, a bustling, growing Seattle is all they’ve ever known. But tucked within some of those houses, apartments, and condos surrounded by construction cranes are people who grew up in a very different city. 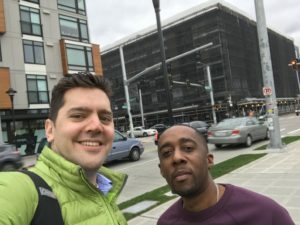 The three interviews give you perspective on how the physical transformation under way in Seattle is affecting some of the city’s long-time residents. Given history has a habit of repeating itself, hearing their stories will give you a better understanding of how Seattle’s future growth may ultimately affect you and life in this city. You will also gain insight into the challenges your fellow community members are facing, so that you can be a part of building a mutually beneficial future. 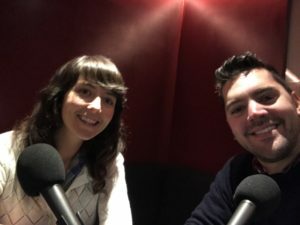 The episode features Damon Bomar, Wendy Colgan, and Alisha Cross. Seattle is growing at an extraordinary rate. As more people and money flow into the city, the skyline and neighborhoods are being transformed. What will the future of the Seattle and its neighborhoods look like? Only time will tell as various people and groups jockey for position to have their vision for Seattle unfold. 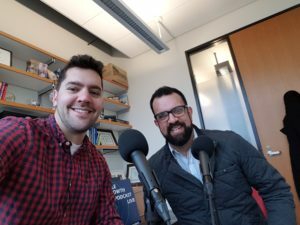 Today’s episode of Seattle Growth Podcast offers guidance into how you can influence the future of Seattle. You will hear from people who have organized, lobbied, or litigated to play a role in determining what Seattle will look like for years to come. Through these examples, you will have a better understanding of how you can have your voice heard as the city changes around you. You will hear from Roger Valdez of Smart Growth Seattle. You will hear from Martin H. Kaplan, an architect and engaged Seattle resident. 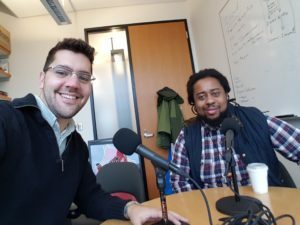 You will hear from Ethan Phelps-Goodman about Seattle Tech Workers for Housing. Through meeting these change-makers, you will get perspective on the variety of efforts underway to set policy.